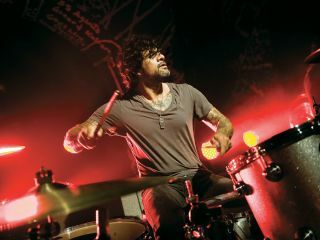 Jason Bonham has bowed out of California Breed's forthcoming tour, with Joey Castillo coming in to replace him. It is unclear whether Bonham, who formed California Breed in 2013 with Glenn Hughes and Andrew Watt, will return to the band, with Bonzo Jr's 'professional commitments' cited as the reason for the move. In a Facebook post Bonham said: "I love those guys - but it wasn't going to work out for me. I will support them as I love the band I helped create, and Joey is great. Good luck, guys." Bonham is currently on the road with Sammy Hagar and is heavily rumoured to have been rehearsing with Phil Collins. Castillo joins the band having been ousted from Queens of the Stone Age in 2012. California Breed hit the UK in November.